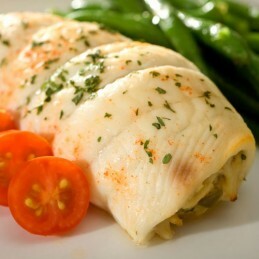 Stuffed tender baby shrimp and lump crabmeat. Accompanied by 3 sides of your choice an.. 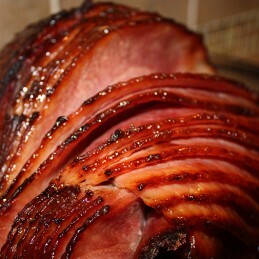 Slow cooked ham, glazed with our homemade honey brown sugar sauce. 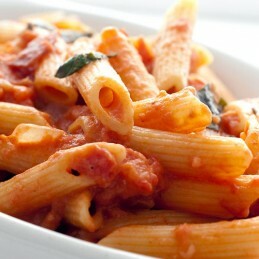 Accompanied by 3 sid..
Our home made creamy vodka sauce covered over penne pasta. 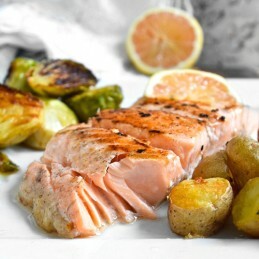 Accompanied by 3 sides of yo..
Fresh salmon, glazed with our honey mustard sauce, and topped with a pecan crust. Acco.. 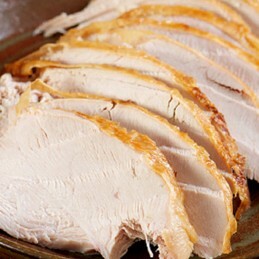 Slow roasted, all white meat turkey. Cooked until tender and pre-sliced. The..